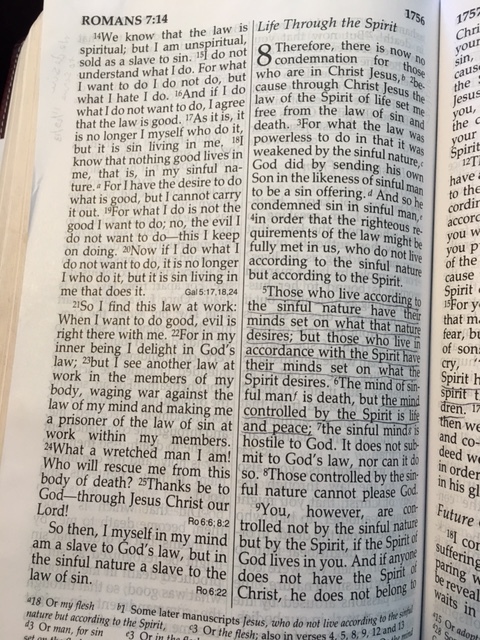 We’ve begun the long journey of memorizing Romans 8. We know God is going with us on this trek and he will make this possible. The requirements of the law were met. A man murdered another man so he was brought in front of the judge. The judge found him guilty and gave him the death penalty. The requirements of the law needed to be met. But then the judge took off his robe and went down to stand next to the man. The judge told the man he was free. The judge was going to take the punishment for man’s crime. This is grace. Unmerited. Given to a guilty person. A person who should be paying the price doesn’t have to. Because they have a Savior.